Casa Classic FS Profiling Electric Bed, Beech Finish. This Casa Classic FS Profiling Electric Bed is safe, highly adjustable with a four section mattress support design, and attractive to look at. The smooth beechwood finish will look at home in any room. 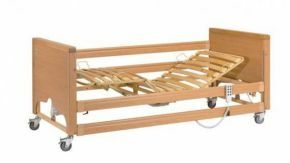 Safety features include a quick lowering mechanism for the head of the bed, and in ordinary everyday operation the four sections can be controlled independently for exactly the right configuration. When not in use, this electric bed can be disassembled and folded away easily, and the storage space underneath won't interfere with smooth operation and adjustment. It comes with a monkey pole to assist those who have difficulty getting into or out of bed as well. Overall, we think this model is an excellent choice. 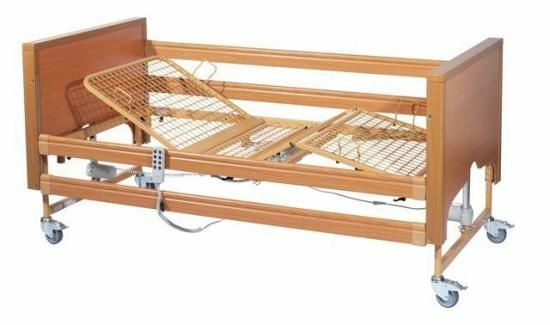 Four section mattress support and two motor adjustment,separable for transport. Wooden head end and foot boards. 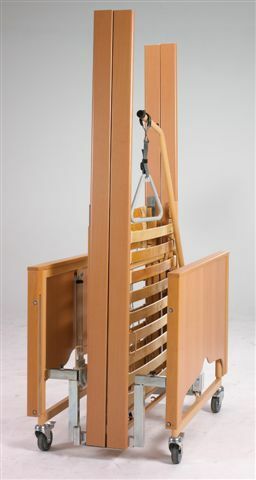 Full length height adjustable side rails in beech finish. Removable mattress retainers at head and foot sections. Ergonomic adjustment of head and foot sections. Additional positioning of foot section by Ratchet telescopic fittings. Emergency lowering by quick action bolt mechanism. Can significantly reduce the risk of pressure sores. Assists fluid drainage and poor venous return. Easily to use handset controls, providing independent, flexible positioning. 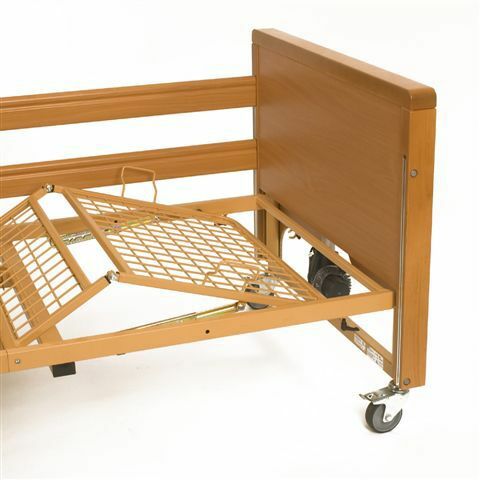 Safer, improved mobility and transfer for easier access to wheelchairs and commodes. Safer and easier lifting and lowering.